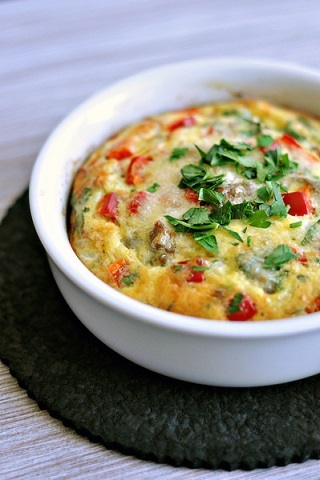 Baked Sausage Omelet: delicious and easy to cook. Ring the breakfast bell! Ring that breakfast bell! This Baked Sausage Omelet is not only delicious and easy to cook, it is a very flexible recipe. You can change the cheese and sausage you use and you can add ingredients to your heart’s content. 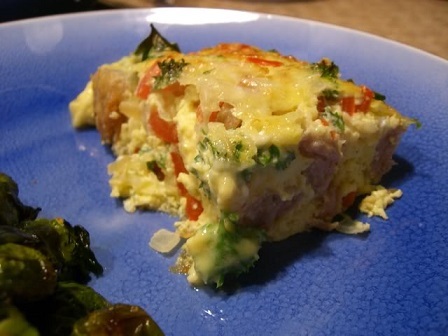 In other words, the omelet breakfast recipe is easily modified to you and your family's desires. For example, instead of using your usual breakfast sausage, try using a sage sausage or a hot Italian sausage. Instead of cheddar cheese, substitute one of your favorites. 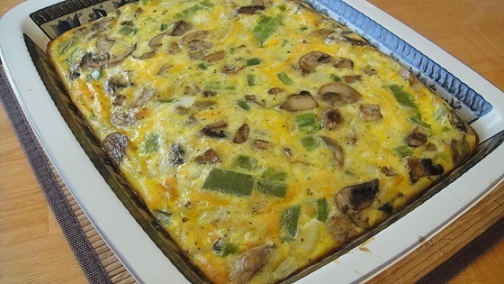 The other beautiful thing about this sausage omelet casserole recipe is that you don't have to stand at the stove and watch it finish cooking. It is a great breakfast or brunch item to serve on special family days or when you are cooking for company. You can enjoy your time with them and still serve a delicious and much appreciated breakfast omelet. To save even more time you can cook your sausage the day before and retrieve it from the refrigerator when you are ready to cook the breakfast. I always get good reviews from my family and friends when I make this breakfast. The restaurant guests always clean their plates and give the meal a "thumbs up." as well. You can serve this baked sausage omelet with a side of salsa if your family enjoys fresh salsa like my family and restaurant guests do. 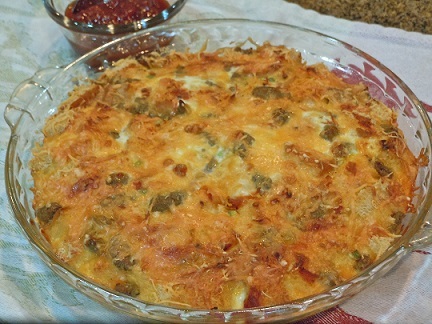 Enjoy your oven baked sausage omelet casserole and the company of those you share it with!